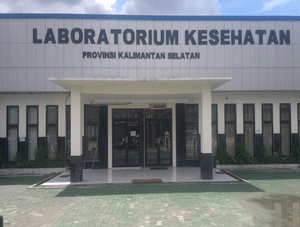 Pemerintah Provinsi Kalimantan Selatan - Pemprov Kalsel is Provincial Government of South Kalimantan. The Province of South Kalimantan is a province in Indonesia, located on the Borneo Island. It was lies between 114° 19’ 13’’ - 116° 33’ 28’’ East Longitude and 1° 21’ 49’’ - 4° 10’ 14’’ South Longitude. The provincial capital is Banjarmasin. The Province of South Kalimantan is one of five Indonesian provinces in Kalimantan. The Province of South Kalimantan is bordered by the Central Kalimantan Province and East Kalimantan in the north, the Java Sea in the south, the Central Kalimantan Province in the west and the Makassar Strait in the east. The Current Governor or South Kalimantan is Sahbirin Noor. He is assisted by Rudy Resnawan as Vice Governor. Provincial Government of South Kalimantan through the Public Health Office (DINKES) is pleased to announce the following vacancies for immediate recruitment. Bidan : Diploma Degree (D3) Midwifery. Perawat : Diploma Degree (D3) Nursing or Bachelor Degree (S1) Nursing Ners. Ahli Gizi : Diploma Degree (D3) / Bachelor Degree or equivalent (S1/D4) Nutrition. Sarjana Kesehatan Masyarakat : Bachelor Degree (S1) Public Health. Maximum age of 35 years old on 1 April 2017. Be well behaved and never punished Prisons or confinements based on Court Decisions that have permanent legal power. Never dismissed with disrespect, upon request of their own or not with respect as a Civil Servant or dismissed with disrespect as a Private Employee. Not positioned as Candidate for Civil Servant (CPNS) or Civil Servant (PNS). Not become an Executive and / or a member of a Political Party. Not being bound by contract with other Institution / Company. JobsCDC.com now available on android device. Download now on Google Play here. Please be aware of recruitment fraud. The entire stage of this selection process is free of charge. Pemprov Kalimantan Selatan - Recruitment PTT Non CPNS Dinkes Kalsel May 2017 will never ask for fees or upfront payments for any purposes during the recruitment process such as transportation and accommodation.